On 15th July 2015, at The Times Chief Executives Summit, David Cameron set an accelerated agenda for advancing gender equality in pay in corporate Britain announcing legislation requiring large employers to calculate their gender pay gap. This will be implemented from April 2017 and details will be published in April 2018. The new Prime minister has supercharged the gender pay gap and wider equality debate with her first words in Downing Street. 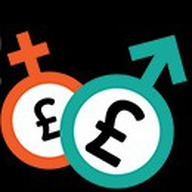 This event has been designed to allow organisations to benchmark their progress against the best in the UK, see how other companies are approaching the challenge of mandatory gender pay reporting and learn the most up to date solutions to meet the timetable and law for publication.